It is built and verified from the scratch. 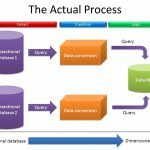 In this case the data input is taken from the customer requirements and different data sources and new data warehouse is build and verified with the help of ETL tools. Business Analyst gathers and documents the requirements. Infrastructure people sets up the test environments. 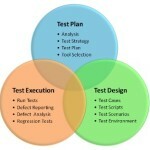 QA Testers develop and then execute the test plans and test scripts. Developers perform unit tests of each modules. Database Administrators test for the performance and also for the stress. Users do functional tests including UAT (User Acceptance Tests). Executing the validation test (it depends on test design and data migration process). In this case new data is added from various sources to an existing datawarehouse. There might be a condition where customer requires changing their present business rule or they might integrate new rule. The reports are the end result of Data Warehouse. Reports must be tested by validating data, layout in the report.Reports are an important resource for creating vital business decisions, from the basic reports to all sorts of drill down reports that let users slice and filter data the way they need.